If you own an Apple iPhone, you probably have or are looking for some sort of accessory to protect it. If you aren’t, you definitely should be. An iPhone is quite an expensive investment, replacements aren’t cheap, and one slip is all it takes to break one. 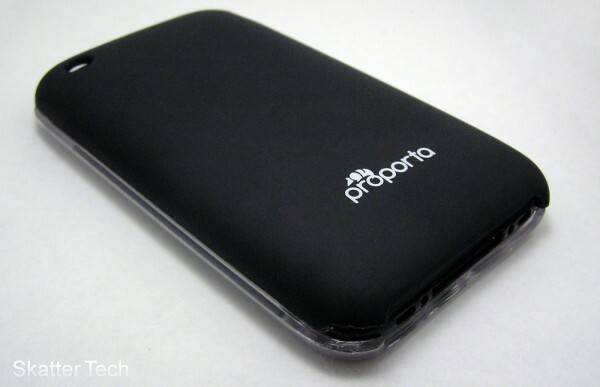 After having to deal with last week’s (horrifying) review of the Griffin Wave Case, we for glad to have received Proporta’s Crystal iPhone 3G/3GS Case. The case looks a whole lot better, doesn’t add to much bulk, and offers a good amount of protection. The Proporta Crystal Case feels robust and study when held. Just about all parts of the phone are covered. The top and bottom have been left exposed for access to the headphone jack, hold button, dock connector, and speakers. Other parts left exposed are for the volume cradle, earpiece, and home button. What’s great about the case is that the phone’s display is recessed into the case, so it would hopefully be protected if it were to fall face front. 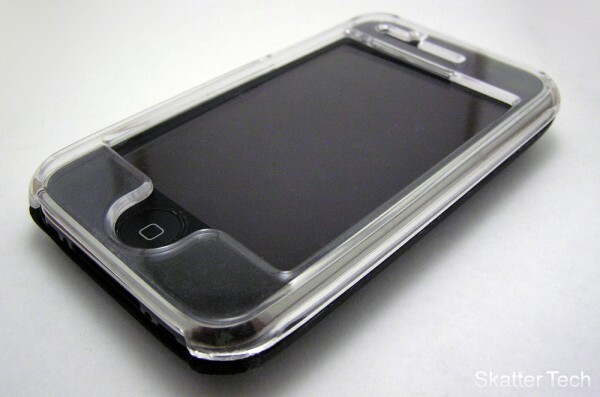 The one thing the case lacks is the inclusion of a screen protector. If Proporta threw one in with the Crystal case, that would have been better deal. Putting on the case is a snap, it took just a few seconds to quickly sandwich the iPhone between the front and back plates. However removing it from the case is a difficult task. After trying to pry it open and even using the included “removal card tool,” it was still a pain to remove. On the other hand, not being able to easily remove the case might be a good thing. I’m well assured that dropping the phone in the case wouldn’t cause the case to easily split apart or shatter. Overall, the Proporta Crystal Case for the iPhone 3G and 3GS is a great accessory. If you need a case, we definitely give this one a thumbs up. It’s available for purchase on line for $18.95 before tax and shipping. However as a reader of Skatter Tech you are eligible for a special 10% discount by using the promotional code ‘SKATTERTECH’ (no quotes). What case do you use or recommend? Let us know!